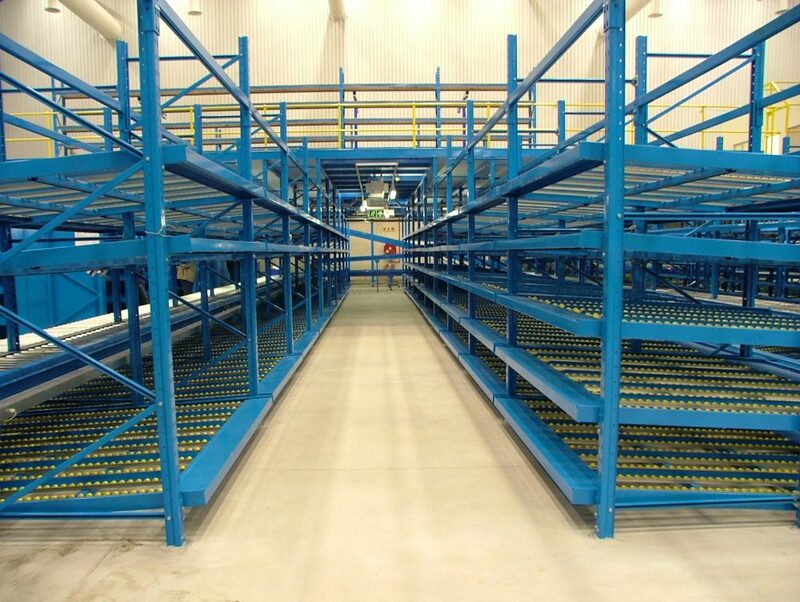 Use less space with Uni-Carton Flow and maximize your storage capacity. 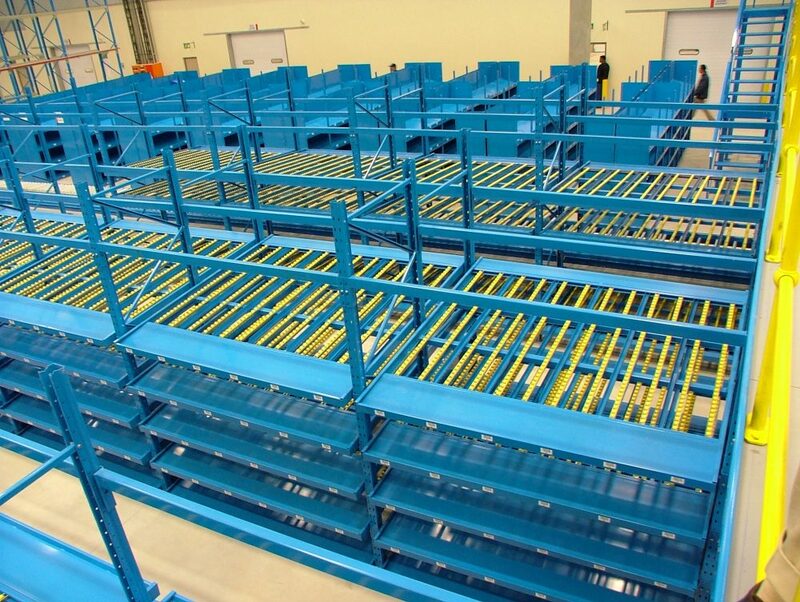 Our flow racks can be easily integrated into Uni-Rack configurations or retrofitted into existing setups. 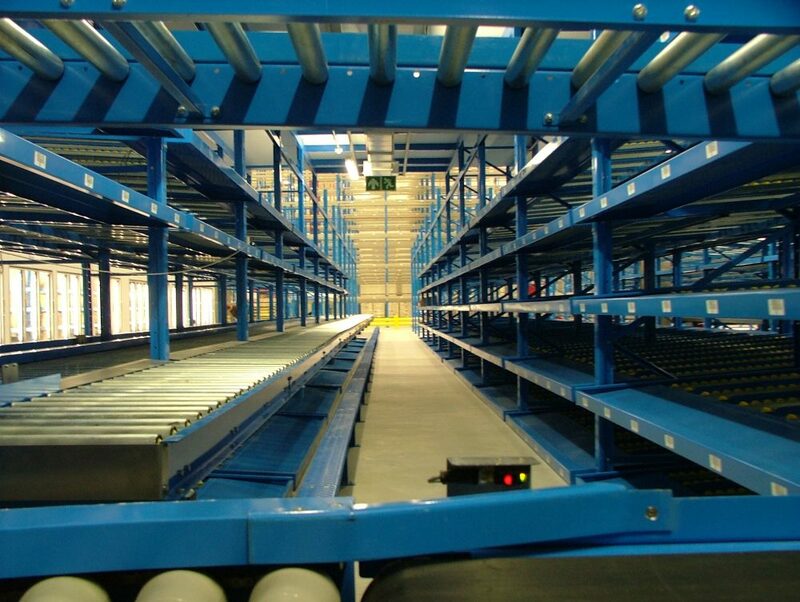 The Uni-Carton Flow system is ideal for areas where space is limited and the use of a forklift truck is not always practical.his highly effective system consists of a supporting rack, shuttle rails and a specially developed rechargeable battery powered shuttle cart, operated either by a hand held remote control or radio controlled. 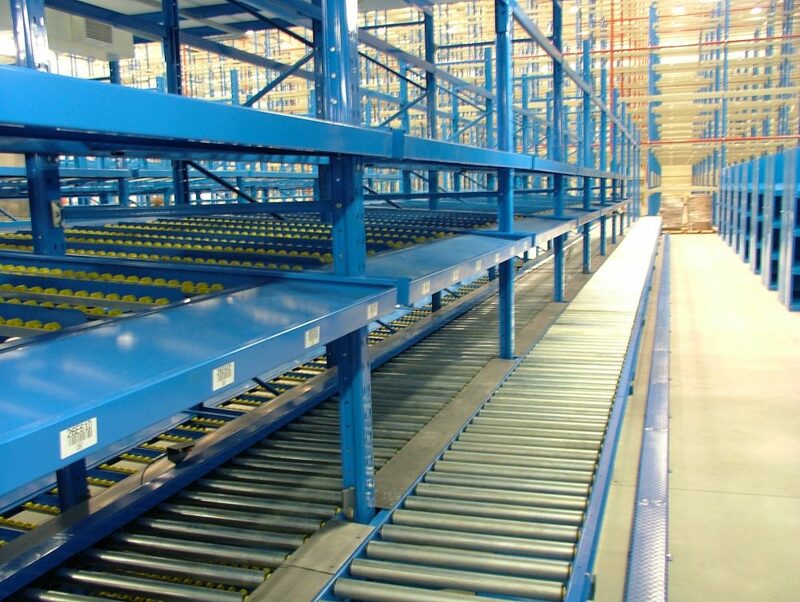 When loading the rack, the forklift truck deposits the pallet in the front of the bay and the cart rolls in under it. 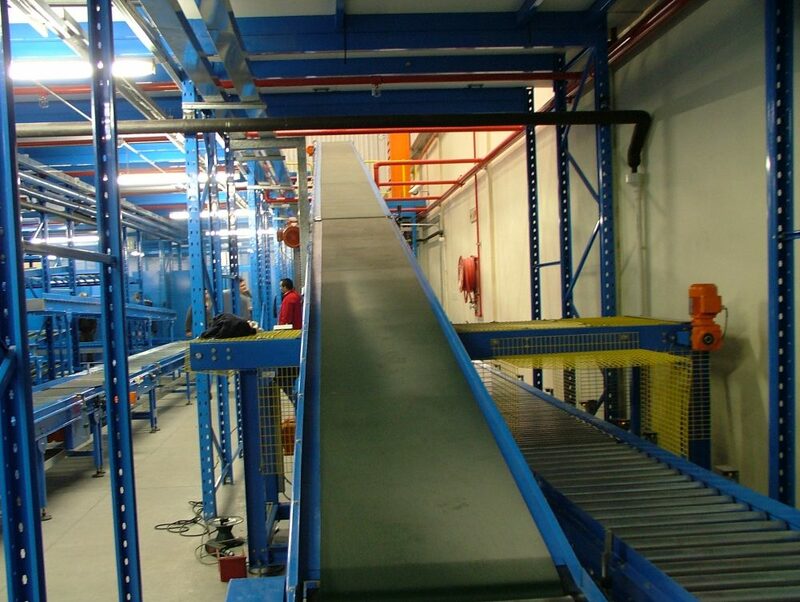 A platform at the top of the cart moves up and down, lifting and lowering the laden pallet. 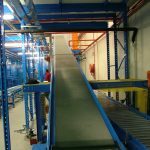 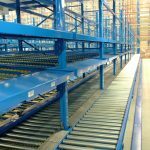 The cart is then moved (manually or by radio control) and deposits the pallet inits allotted position.When the pallet is required from the rack, the cart moves in under the pallet, lifts it and brings it to the front of the rack where it can be retrieved by forklift. 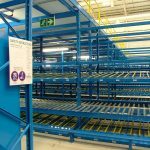 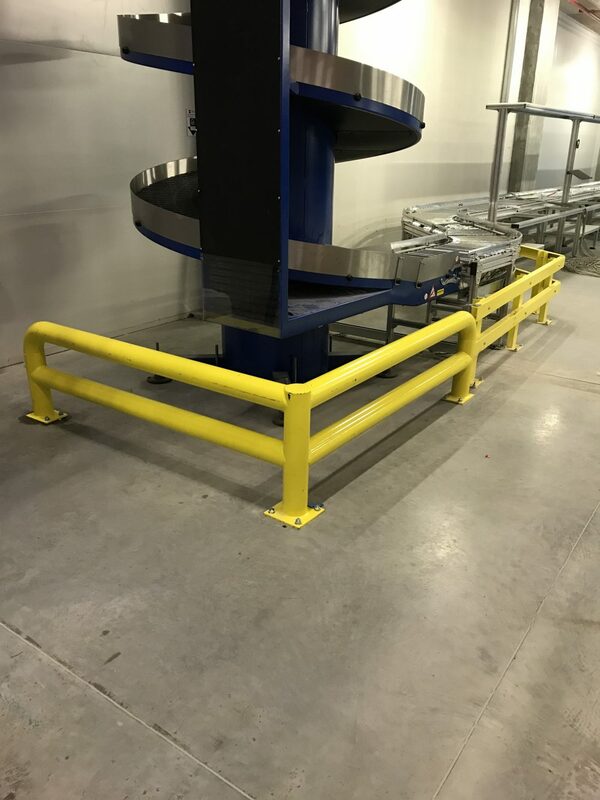 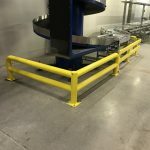 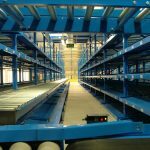 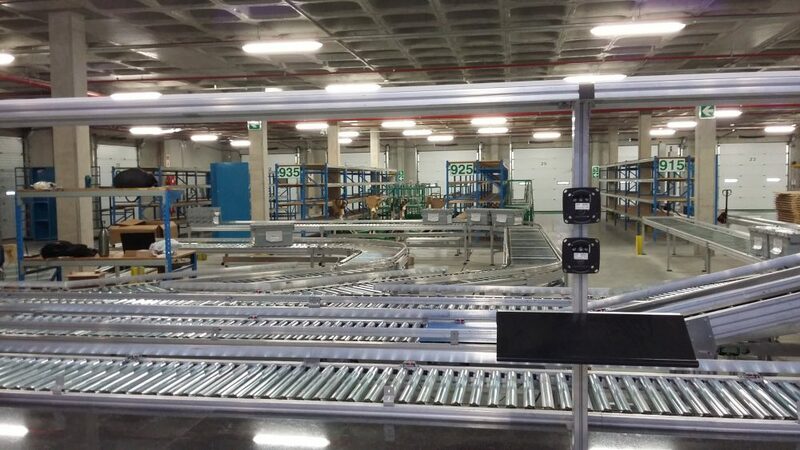 Because the forklift doesn’t have to travel into the racking, as is the case with Drive-in racking, accessibility is increased and possible damage decreased. 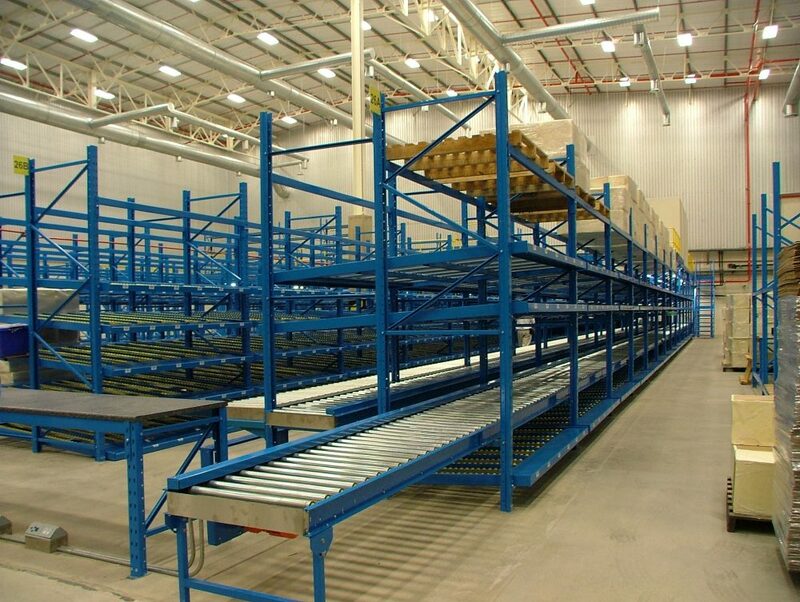 Ideally suited for warehouses, retail or distribution centers. 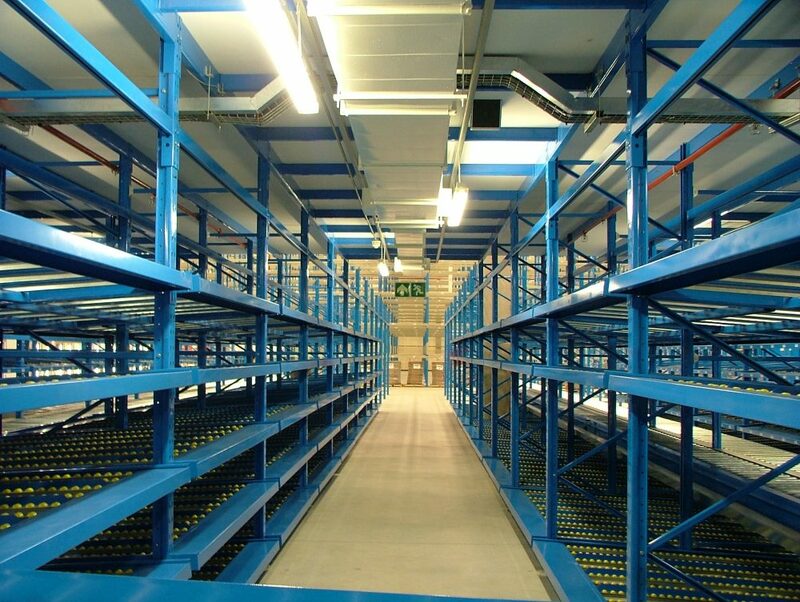 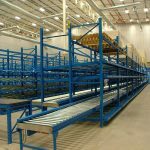 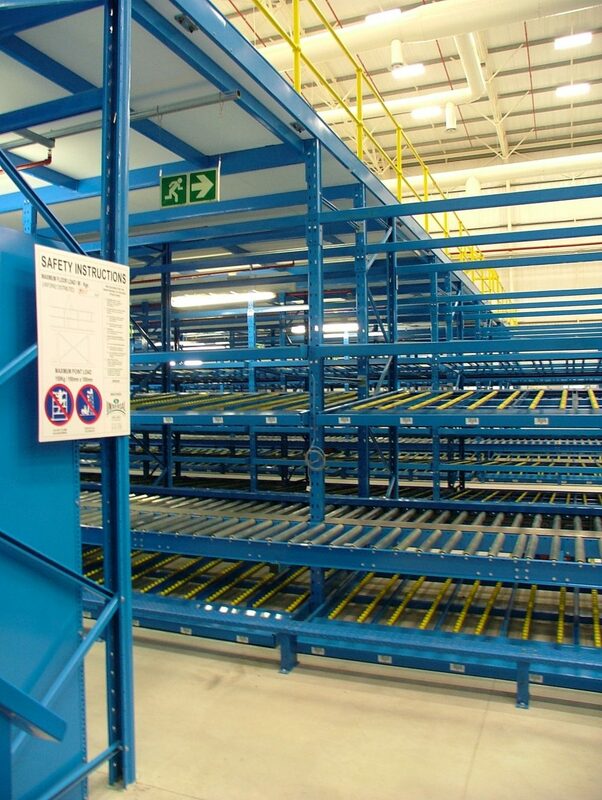 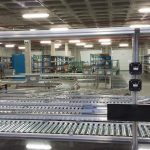 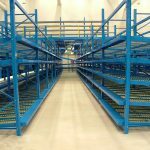 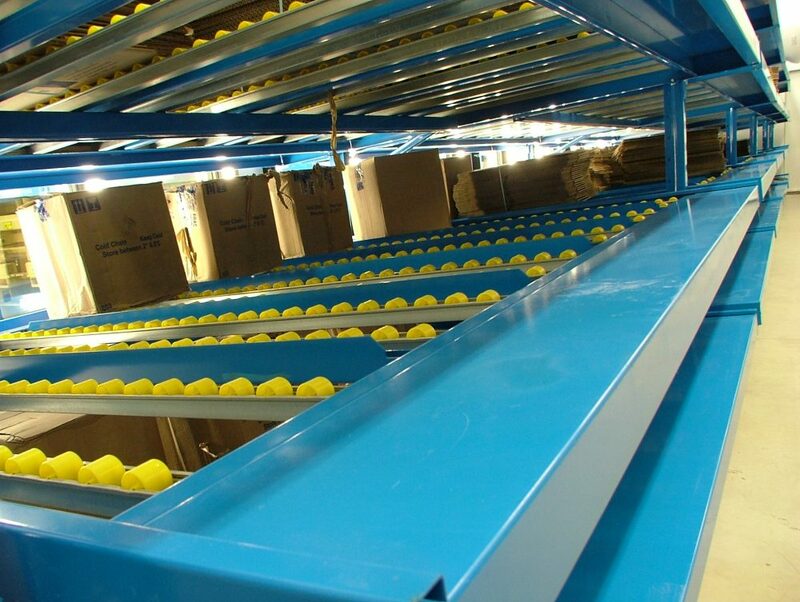 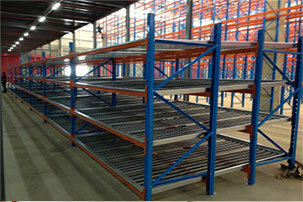 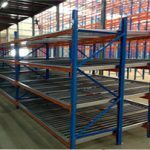 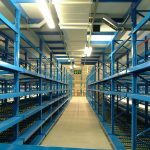 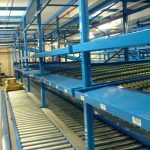 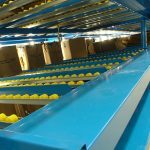 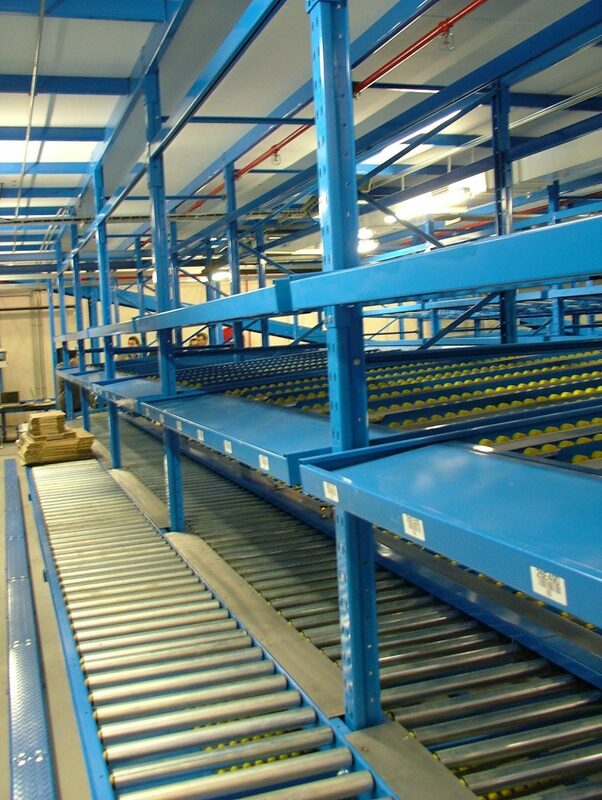 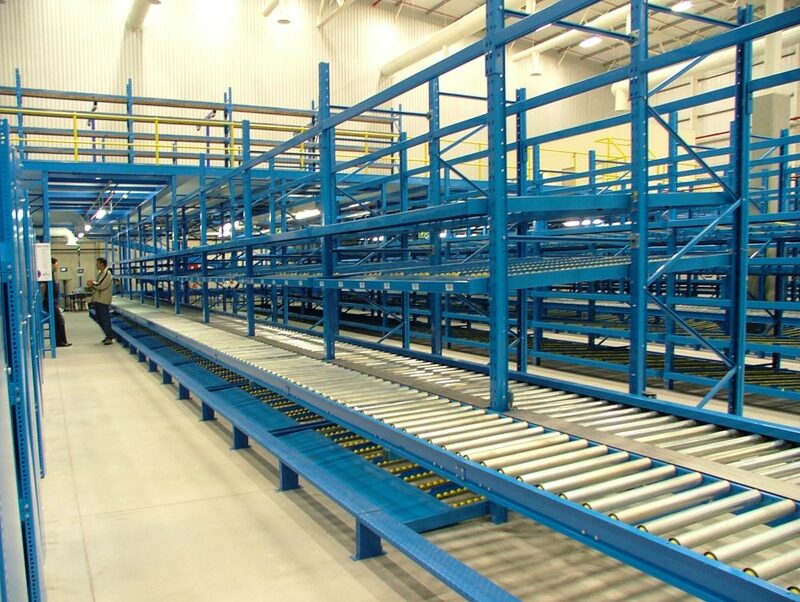 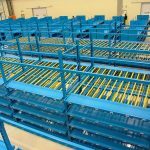 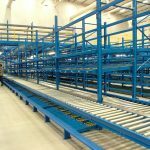 Gravity-fed flow racks require less area that static racking.